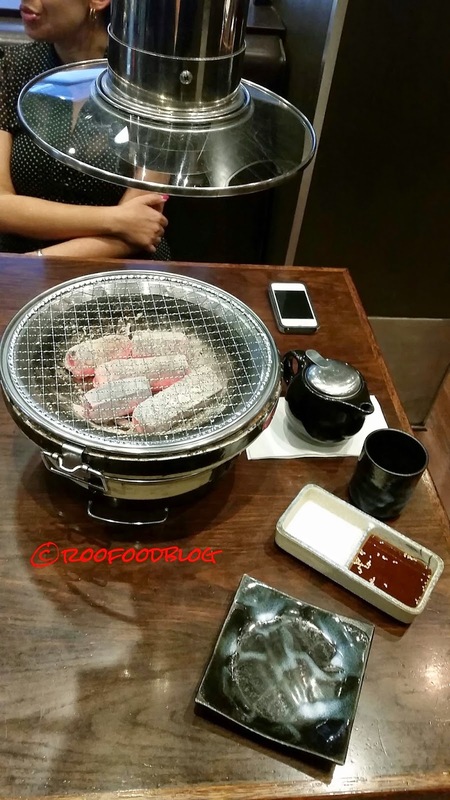 Tucked away in Hosking Place is a Japanese yakiniku restaurant called Suminoya. Until I was invited for lunch, I would never have known that it was there, regardless of the fact that is's been around for roughly 10 years. It is always nice to find hidden away gems in the Sydney CBD and discover something new, yet it has been around for many years with a great following. We arrived for 1pm and were seated at a table in a little nook. Each table in the restaurant is set up with an exhaust fan over each table. High tech! 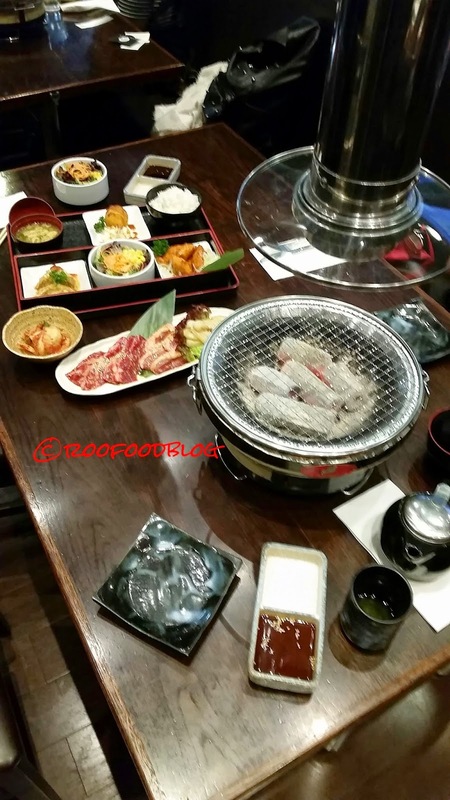 We decide on sharing a three choice charcoal BBQ set and the Suminoya lunch box B. It took sometime for our charcoal BBQ to come to the table, but when it did arrive the charcoal bricks were glowing and ready to go. Our food followed pretty quickly. The three BBQ dishes come together on one plate. 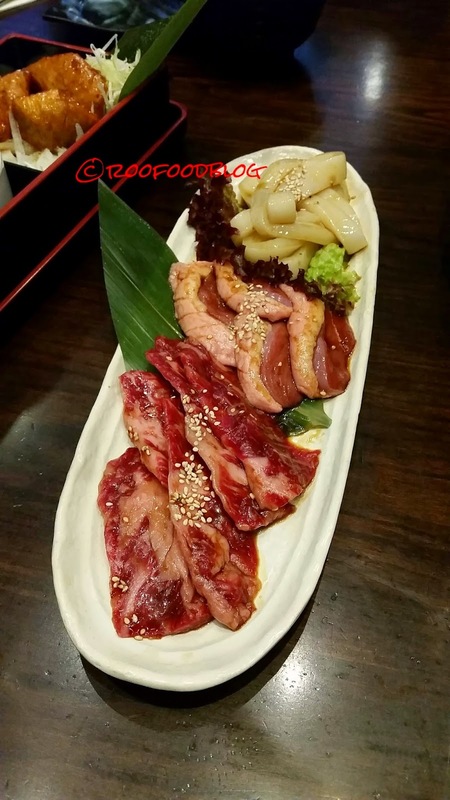 Squid, duck and wagyu beef harami (which is a cut from around the diaphragm). The set also comes with a side of rice, a small bowl of miso soup and a small side salad. We had asked specifically for the squid to be served separately (for a particular reason) but it came on the same plate separated by a lettuce leaf. Okay, slight issue but nothing that we couldn't deal with. There is something rustic about cooking at your own table. I enjoy it and it's always a crowd pleaser and gets everyone into the spirit. 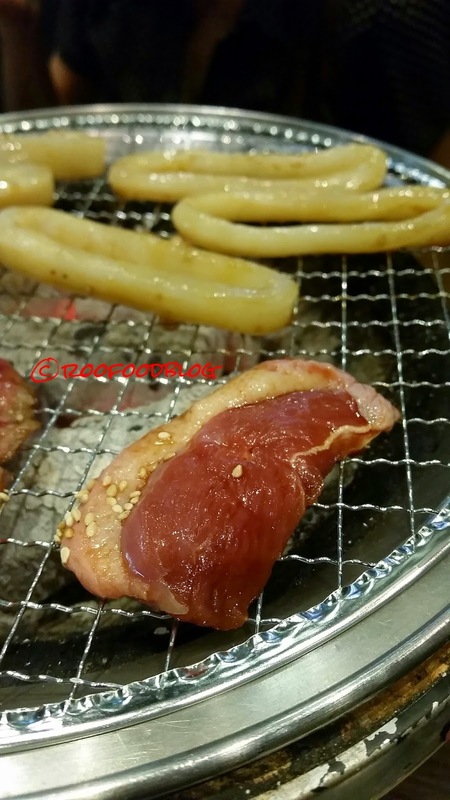 I ensured the squid was cooked on one side of the grill and didn't touch any other meats. 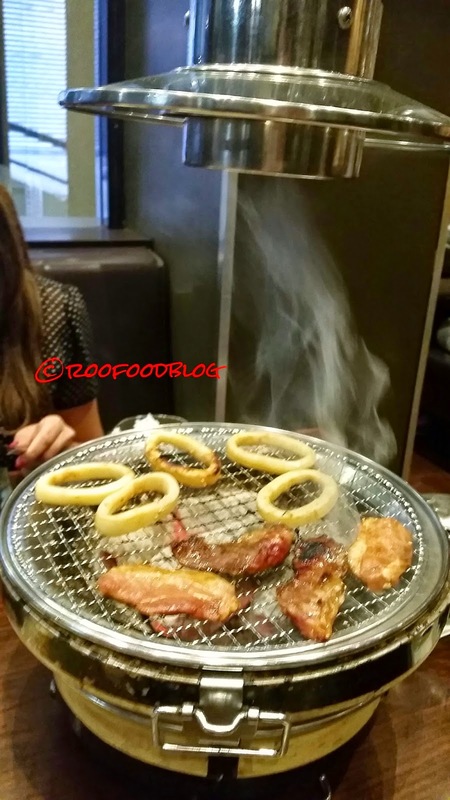 The sizzle and pop of the meats as the fat started to render and drip onto the hot coals beneath soon had smoke wafting around and straight up the exhaust fan! The squid was soft and tender. I only had one ring because I was going for the duck and beef today. the duck was good. Enough time on the grill to not overcook the duck and render some of that layer of fat is a very fine line but if you get it right, it's rewarding. It took a couple of goes to get it right. I hadn't had a harami cut before. This is found around the diaphram of the beast. The wagyu beef harami was flavourful but on the tougher side, more likely coming down to my cooking skills rather than the cut itself. Perfection takes practice I suppose and it might take a few more goes to get it right. I ordered a side of chinese cabbage kimchi for a bit of crunch and heat to accompany the grilled meats. It had a light fermented flavour and was crunch and definitely hot! 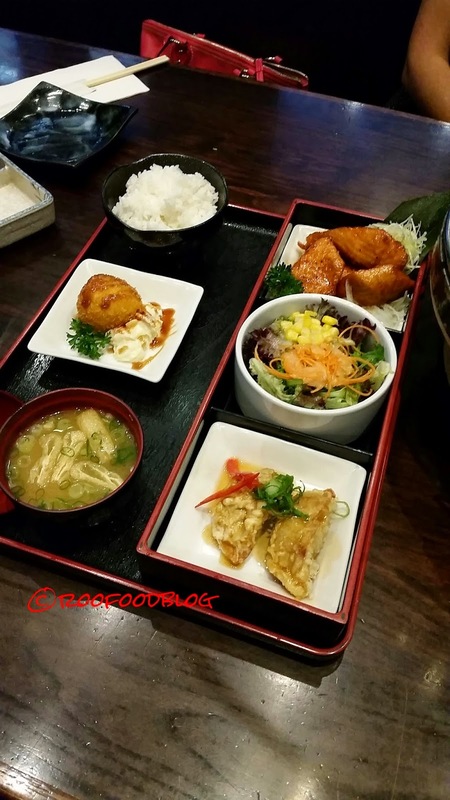 The Suminoya lunch box is served on a tray with your choice of main meal. 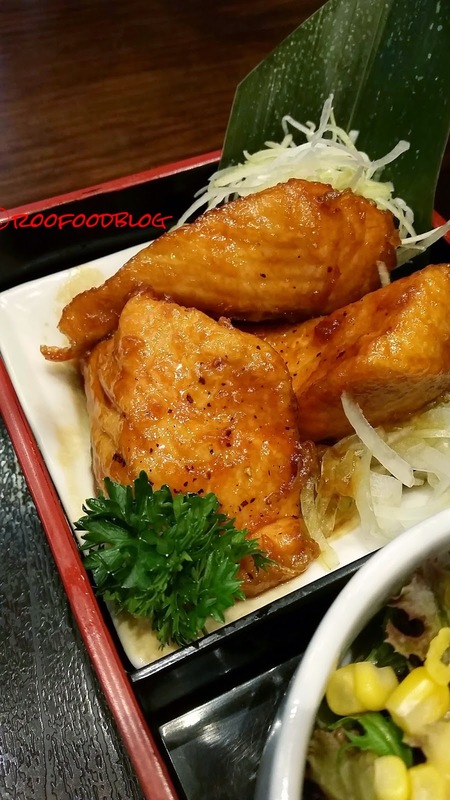 We opted for the teriyaki fish. 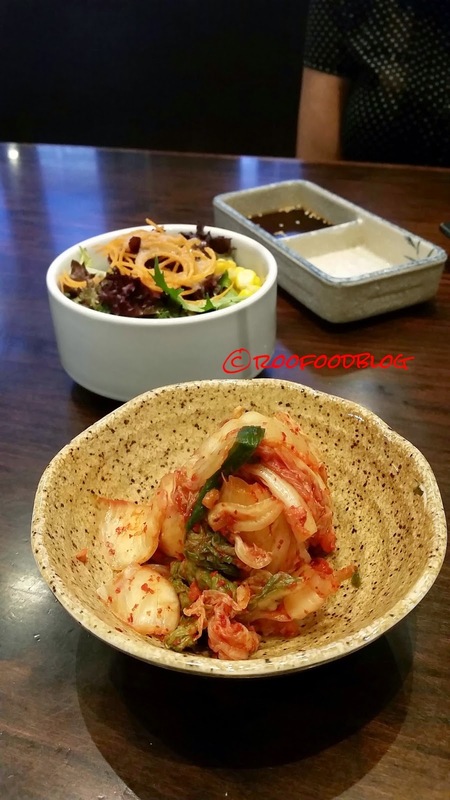 the lunch set also is served with a 'today's special', a 'today's special side dish', salad, rice and miso. Turns out the 'today's special' is tempura gyoza and the 'today's special side dish' is a crab claw with mayonnaise. Me being the only one that can eat meat and dairy at the table (my friend was fasting for Greek Easter so was eating no red meat or dairy, hence the request for the squid to be separate) got to have the the specials. I was surprised by the tempura gyoza. 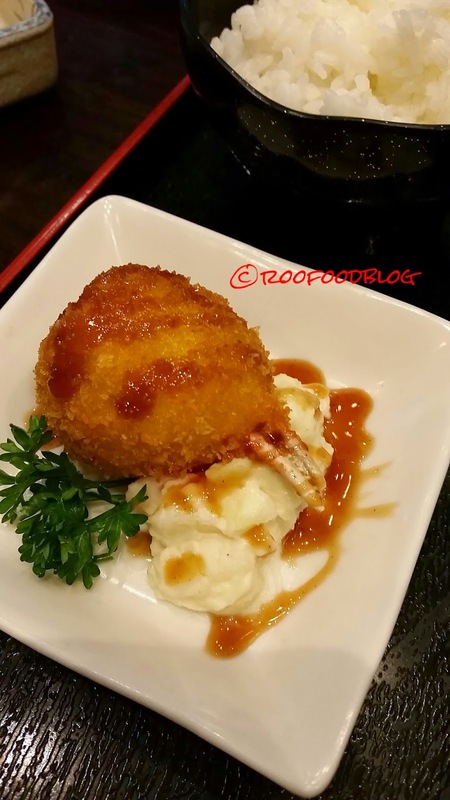 It's literally a pork gyoza dipped in tempura batter and deep fried. This was a novelty. 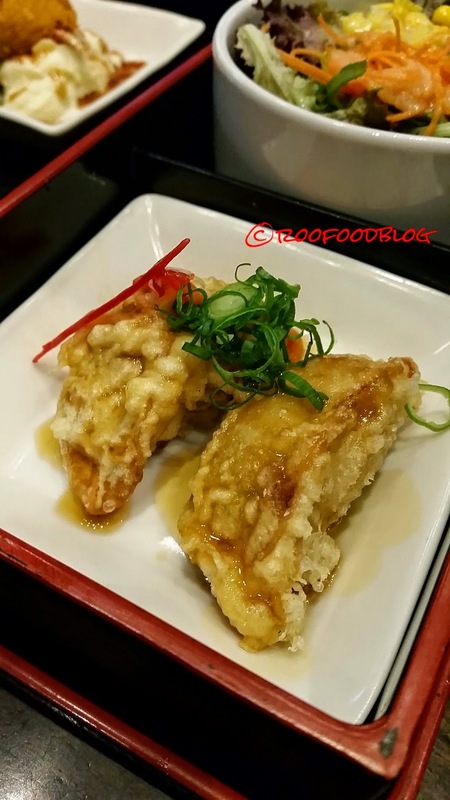 The crispy tempura batter was light and encased a soft gyoza wrapper with a lovely moist gyoza filling. These were good, but filling. The crab claw was just as good as any takeaway shop crab claw and it was perched on top of a dollop of thick kewpie style mayonnaise. No sure what the sauce was though but it was thick and sweet(ish) similar to a very thick teriyaki sauce. The teriyaki fish (and I only had a small taste) as she was eating the seafood today was terrific. Moist, perfectly cooked and the teriyaki was not overly sweet. My friend remarked that she liked the fish saying she wasn't a a big fish eater and wasn't a fan of salmon. When I told her this was salmon she was surprised! As for the miso soup, salad and rice, they were hardly touched. 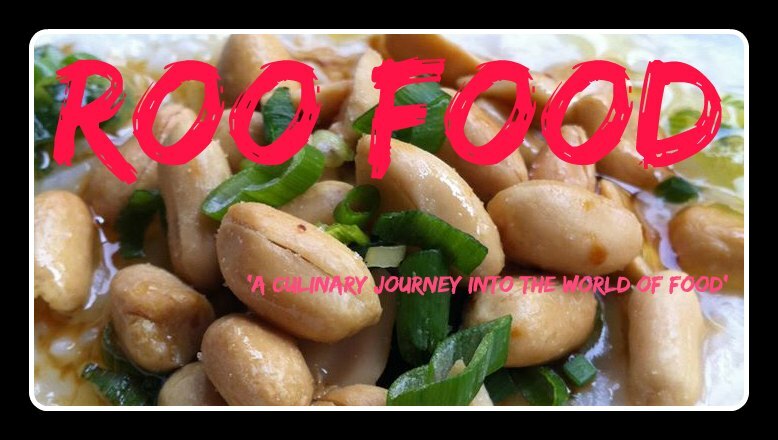 Not because they were not good, just that we were so full from the other main dishes. The rice was fluffy and hot and the miso soup was full of flavour. The salad was refreshing with corns scattered through it. As a member of Washoku Lovers I also showed my card for a free drink which was a coke, however there are many other options on the menu for drinks.